Home » General Health » Is the Cure for Inflammation Buried in Your Yard? Is the Cure for Inflammation Buried in Your Yard? Although there’s a minute chance that you’ll uncover a chest of gold and jewels buried in your yard, something far more valuable could be down there. In fact, I know it’s there. 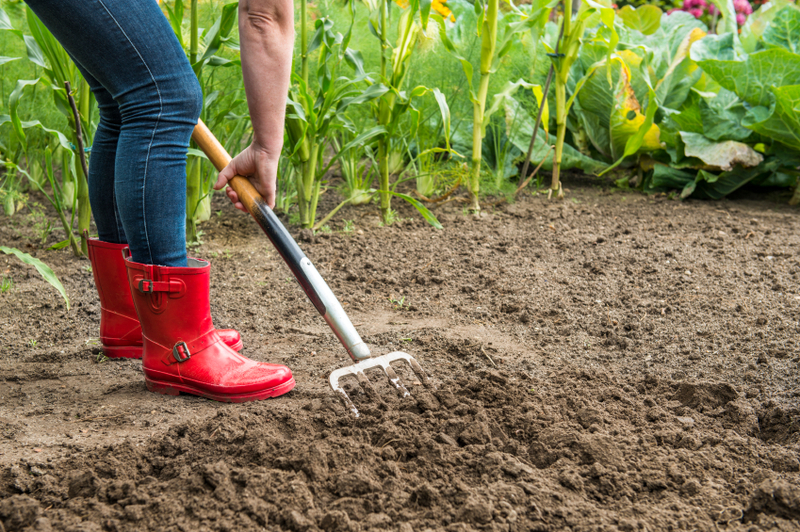 The soil in your garden or yard is full of nutrients and bacteria that can benefit your health. And one, specifically, might help fight chronic inflammation. Chronic inflammation is a serious health condition that can manifest itself in a number of ways. It’s highly associated with conditions such as elevated stress, cancer, diabetes, Alzheimer’s, arthritis, inflammatory bowel disease, and countless others. A strain of bacteria common in most yards, Mycobacterium vaccae, may be able to reduce chronic inflammation and physical stress. A study injected this bacteria into mice to learn how it affected inflammation, but researchers suggest you don’t have to take the bacteria orally to achieve results—simply breathing it in and getting it on your skin could be enough. The bacterial population of your body—your microbiome—can be altered in a number of ways, so breathing or touching Mycobacterium vaccae can introduce it and allow it to go to work. Bacterial specialists urge parents to send their children outside and play in the dirt. This is because dirt offers all kinds of bacteria that help children build immunity and a diverse and healthy microbiome. There’s no reason to think the same benefits aren’t extended to adults. Digging in the garden, planting flowers, and moving soil can help with stress and inflammation in other ways. Gardening can be very therapeutic. It lets you spend some time focusing on a task, away from stressors that might seem inescapable. Studies have also shown that spending time gardening leads to a reduction in cortisol levels and improved mood. Working in the garden also counts as exercise, and activity plays a role in stress and inflammation. When you’re moving and the blood is pumping, good things happen to your body and mind. If you’re looking for a way to reduce stress and inflammation and lower your chances of disease, getting out in the garden may provide a number of benefits. If you don’t have a garden, perhaps you can find a local community garden in your area or start your own at home. If you live in a condominium or an apartment building, you can create a small container garden to tend to. Van de Berg, A., “Gardening promotes neuroendocrine and affective restoration from stress,” Journal of Health Psychology, June 3, 2010; doi: 10.1177/1359105310365577.